This post is part of Amy Johnson Crow's 52 Ancestors in 52 Weeks for 2018. The prompt for the week of March 26, 2018, is The Old Homestead. I thought I’d write about the old plantation for this topic instead, because I’ve always wondered about the exact location of the land that belonged to my maternal 2nd great grandfather Remer Young, and I received some photos of some of the people Remer owned before the Civil War. Remer Young owned a plantation in north Lowndes County Georgia in an area called Mineola. 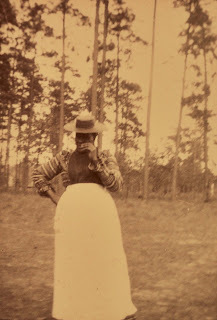 According to a post on findagrave.com about the "Old Young Plantation" (author unknown), a portion of the land was originally part of the estate of Francis Rountree. In 1841, Michael Brady Jones bought Lots 36, 56, 82, and 83 in Land District 12 from Rountree’s estate. The following year, in 1842, Jones sold the land to Matthew Young. 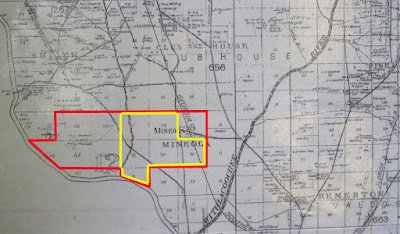 Young sold these lots plus two others (Lots 36, 56, 57, 81, 82, and 83) to Remer Young in 1857 (see the map below). 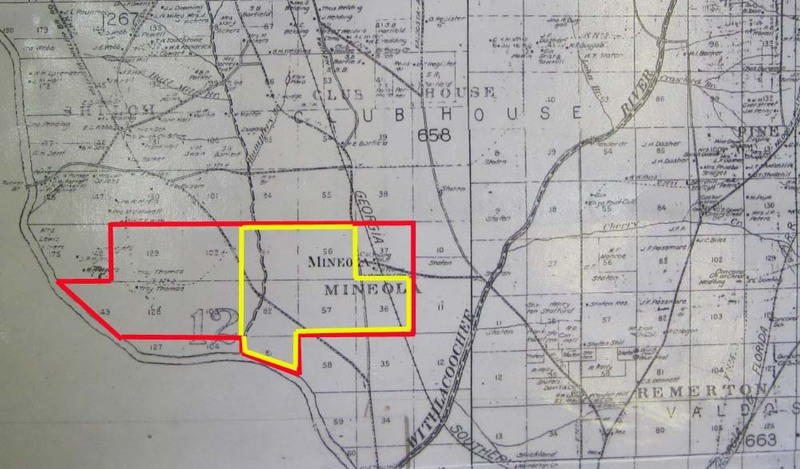 By 1860, Remer had acquired more land, totaling 6,000 acres: Lots 36, 37, 56, 57, 81, 82, 83, 102, 103, 128, 129, and 149 (see map below). I don't have a citation for this map. I saw it at the South Georgia Regional Library in Valdosta laid out on a table in the genealogy room. There's no information on the map or date. I've marked the Remer Young property: yellow for the lots he bought in 1857, red for what he owned as of 1860. The land includes a slave cemetery, noted in Church and Family Cemeteries in Lowndes County, Georgia 1825-2005 Part 2 as “Northwest of Valdosta: Approximately 1/2 mile northeast of junction of N. Valdosta Road and I-75, on what was formerly the ‘Young Plantation.’ No Markers.” The findagrave posting adds that the cemetery is about 300 yards northeast of the intersection of N. Valdosta Road and I-75 in a stand of trees, but sometime in the 2000s, the trees were cut down and a subdivision established. I wonder what happened to the cemetery? 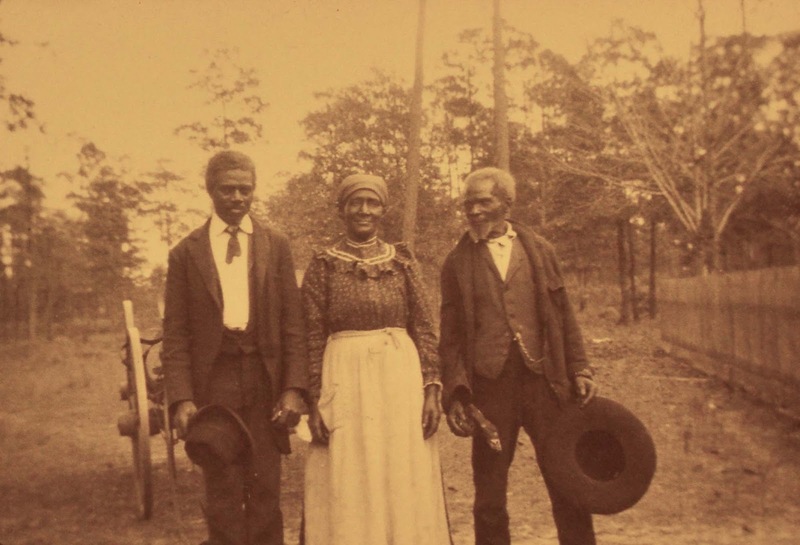 The 1860 U.S. Slave Schedule for Lowndes County, Georgia, Districts 663 and 1200 (ancestry.com), shows that Remer Young had a total of 88 slaves in 17 “slave houses.” That's about five people per small cabin. The oldest person was 56 years old and the youngest was only two months. In the winter of 1904 to 1905, my 2nd great aunt, Lawson Young Pendleton, came down to Valdosta from Bryn Athyn, Pennsylvania, to visit relatives in the Valdosta/Lowndes County area, including her sister Catherine Young Roberts (my maternal great grandmother). 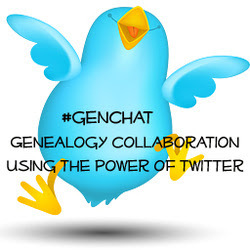 (Lawson and Catherine are two of Remer Young’s and Mary Wyche’s children.) 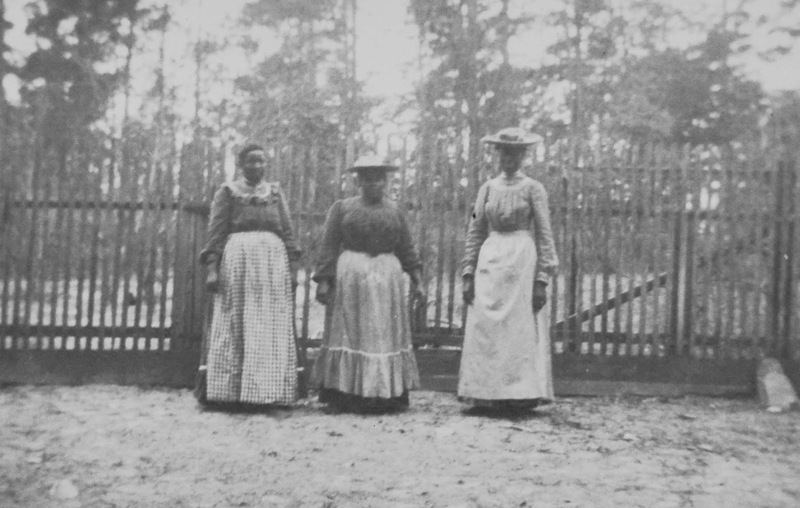 Lawson brought three of her daughters, Amena, Constance, and Freda Pendleton. The family house was gone, and the place was not being cultivated, but timber was being cut, and there was a sawmill, a small group of houses, and a commissary or store near the railroad station. The overseer’s old house was a little distance away, and the site of the family house at least a mile beyond…A number of old family servants [slaves], too old to work, were living on the place in small houses here and there, and were permitted to draw rations from the commissary, free of charge. 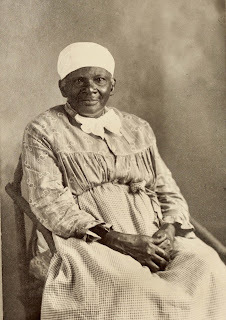 Constance and Freda met several of the people who had been owned by their grandfather, Remer Young: Judy, Easter Johnson, Mose (former foreman of the plantation), Emily Johnson (former dairy maid), William (Wilts) Johnson (Remer’s former body servant), and Nancy (who ran off to the circus after the Civil War but returned). 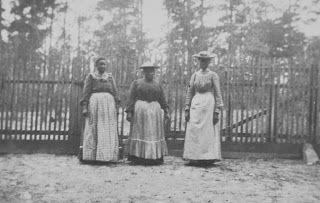 I'm grateful to my Bryn Athyn Pendleton/Young cousins Erik and Alan for scanning and sharing these photographs (among others) and to Constance for writing about her visit to the former Young plantation. As much as I love maps, seeing photographs and reading written accounts bring the past to life, however painful. Clifton, Geraldine McLeod and Dorothy Peterson Neisen, Church and Family Cemeteries in Lowndes County, Georgia 1825-2005 Part 2. Reprinted 2007 by Genealogy Unlimited Society, Inc., Valdosta, Georgia.